Highlighting the biggest barriers to BIM adoption has been a moveable feast. We’ve knocked down some of the issues such as the absence of standards, access to suitable hardware and awareness of the mandate; we haven’t solved these issues right across the supply chain but we have the UK BIM Alliance looking to deal with that challenge. However, one of the big challenges that we haven’t finished beating back is getting the knowledge and understanding of BIM to the top table of AEC businesses. I suspect most of us evangelists have said at some point “we need to get to the decision makers and make them understand BIM” because we know how business critical the digitisation of our businesses and our wider industry is. If we don’t do it, someone else will. Google and the other tech giants are looking at us as an opportunity to capitalise on as the last major industry to digitise. Last week’s BIM Show Live in Newcastle showed just how far the edges of the envelope have accelerated away from day to day construction with robots, machine learning and digital contracts starting to look a less futuristic than they did not long ago at all. Five years is a long time in the tech scene, whereas it can be a couple of projects for us in construction; there’s a difference in mindset that leaves us vulnerable. Now more than ever we need to the engage the construction industry’s leaders in the discussion about digitisation as an essential survival strategy as opposed to a straight-up ROI decision. However, this is where I have to admit I may have been wrong all along… I always thought we needed to get our leaders to know what we know, but many of them have taken a different approach. Taking a step back they’ve done the right thing by not engulfing themselves in the nuisances of BS1192. I didn’t want to do a big announcement and draw any attention away from the BIM world arriving in the region for BIM Show Live; Rob Charlton, James Austin and Adam Ward deserve the limelight for putting on the best BIM event in years. Kudos gents, it was excellent. However, if you bumped into me last week and took one of my new business cards you might have noticed I’ve taken a directorship here at BIM Strategy. It’s a fascinating and exciting opportunity for me personally and I’m determined to use my position to advance the digitisation construction with everything I have. This is where I think the business leaders have got it right and it really came home to me at the event. I looked around me and saw faces who I was talking BIM with over beer only a few years ago discussing how we get the message to the top table. Many of us are now sat at the top table of influential businesses right across the industry. 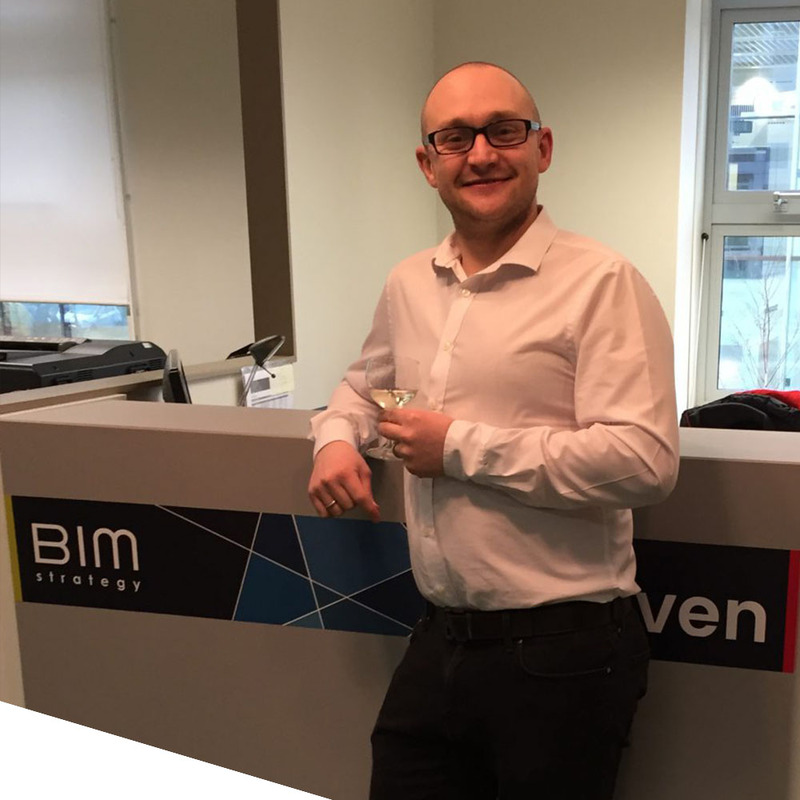 Instead of dedicating themselves to learning a complex and rapidly evolving subject, they promoted those who have taken the initiative to become specialists, or they’ve headhunted themselves a BIM leader. This has accelerated the careers of some of the greatest people I’ve met in my career to date, and rightly so. Now here’s where I think they nailed it. Instead of investing a high proportion of their last 5-10 years in the industry looking to a future they won’t be delivering, they’ve started building a new leadership team across the industry of digitally savvy millennials who can form alliances capable of delivering whatever Level 3 BIM holds over the next 30-35years. They are entrusting us to keep the Google from the door and make sure it’s those with design and construction in their blood who make Level 2 really take hold and eventually, when the time comes bring the skills of our successors into leadership roles to deploy robots on site and other advances that are already on their way. We need to find those kids automating their classrooms with Raspberry Pis and encourage them into our world of creating buildings and structures. To all the young leaders in BIM – we should all be committed to creating a fantastic carnival of digital construction that excites the world and deliverers the built environment that the 21st century deserves. There are a lot of people relying on us to do something special.